Ready for Christmas? No, I’m not kidding. The holidays may be a few months away, but it’s not too early to start planning. My decorations may not come out until December, but after years of working in retail, I start creating gift lists and making holiday plans as soon as my kids go back to school. It may seem crazy, but the holiday season is often a make-or-break time for retailers. Spending a bit of time now evaluating last year’s successes, misses and surprises can help you prepare for an even better holiday season this year. Fingerlings may not be the “it” toy again this year, but we can learn a lot by listening to Confucius’ advice: “Study the past if you would define the future.” Therefore, let’s take a look at what happened during the 2017 holiday season. 2017 was a huge e-commerce season, topping $108 billion in U.S. sales, an increase of 15 percent over 2016. With such a substantial lift in spending, it’s not surprising to learn that email volume was also up, by as much as 122 percent compared with the overall 2017 average. Starting in mid-November, email frequency began ramping up, with three distinct and increasingly large spikes on Thanksgiving Day (+78 percent), the day before Cyber Monday (+106 percent), and three days later on the Wednesday after Thanksgiving (+122 percent). Interestingly, despite the fact that holiday email volume more than doubled the 2017 average, the vast majority of it was delivered to subscribers’ inboxes. For the overall holiday season, 90 percent of email made it through mailbox provider filters, compared to the 86 percent average for 2017 as a whole. This is likely due to improved subscriber engagement with email during the holiday period. Subscribers have come to expect an influx of advertising and offers, and tend to be much more tolerant of higher frequency in November and December. Amazon continues to dominate. Capturing 30 percent of Black Friday week sales in 2017, consumers continue to shop the e-commerce giant for low prices and free Prime shipping. Amazon has carved out a niche for itself in the name of convenience. How does your company make shopping easy for customers? We’re in a “crisis of trust.” Customer experience is more critical than ever, and is quickly becoming the factor that separates the OK from the exceptional. A hot deal is no longer enough to keep customers engaged week after month after year. Before you assume that customers from two years ago will be interested in hearing from you this holiday season, revisit your value proposition. What benefits do you offer? Deliverability is dynamic and changing. Mailbox providers (e.g., Gmail and Microsoft) are constantly evolving their email filters to stay abreast of potential threats and ensure their users are receiving legitimate/wanted email. Even seemingly small changes in your list or frequency can cause damage to your sender reputation, resulting in your email being delivered to the spam folder or blocked altogether. Is that a risk you can afford to take during the holidays? While it may seem early, use time to your advantage. Consider last year’s trends and current industry influences as you start to think about your 2018 holiday email strategy. Email can be a great channel, but can also provide an unwelcome surprise when things go amiss. Prepare now in order to set yourself up for the best chance at holiday success. Looking for more holiday insight? Join our upcoming webinar—Have Yourself a Merry Q4. This article originally appeared on Total Retail. Bonnie is passionate about excellent customer experience. With a background in marketing, merchandise buying, and retail management, she helps companies stay relevant amid the changing digital landscape. Bonnie leads the knowledge and consulting teams at Return Path, the global leader in email deliverability. 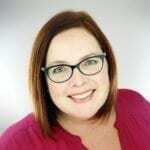 She is an active Email Experience Council committee member, featured speaker for events, and writes monthly for the Return Path blog and TotalRetail.